Toyota has announced yet more recalls, the latest being 600,000 Sienna minivans in the US due to corrosion. The news came a day after the Japanese company halted production of its Lexus GX 460 because of safety concerns. The latest recall affects Siennas made between 1998 and 2010, which may suffer corrosion in the spare tyre carrier. "In the worst case, the carrier cable may fail and the spare tyre could become separated from the vehicle," Toyota said in a statement. The company said it was working on a solution to the problem. On Tuesday, the Japanese carmaker halted sales of its Lexus GX 460 SUV worldwide after a US magazine, Consumer Reports, said the vehicle's handling during its tests posed a "safety risk". Toyota also said it would test all of its other SUV models, including the Land Cruiser, Land Cruiser Prado and Rav4. Concerning the Sienna recall, Toyota said prolonged exposure to road salt could result in excessive corrosion of the spare-tyre cable, and that they should be inspected by dealers. Toyota overtook General Motors in 2008 as the world's biggest carmaker, but has since blamed its quality control problems on its rapid expansion. Executives from Toyota were fiercely criticised in the US Congress and the company's once high reputation has been left in tatters. 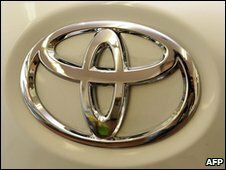 Toyota has recalled more than 8m vehicles since late 2009 for brake and accelerator defects, and is facing 97 lawsuits for damages for injury or death linked to claims that cars were faulty.